a Japanese bar/tavern in which a variety of small dishes are served to accompany the alcoholic drinks such as beer, sake, and cocktails made with shochu or Japanese whisky. 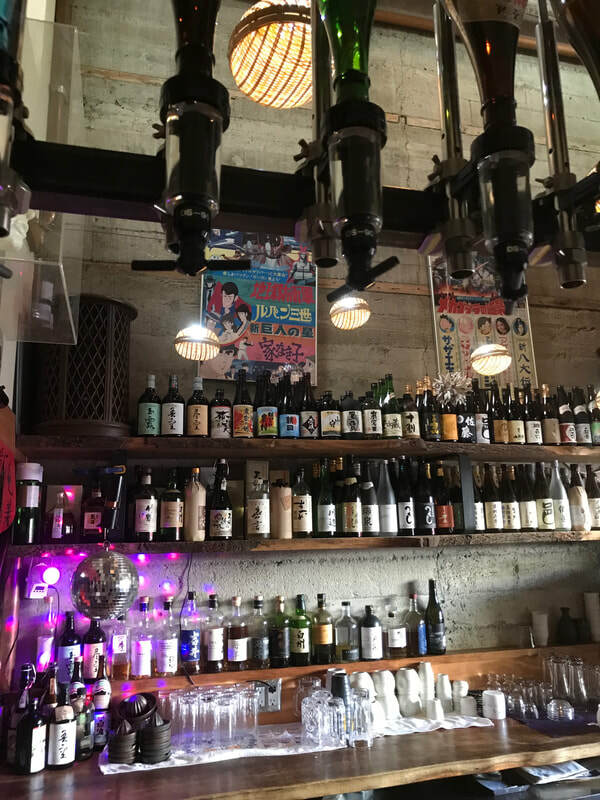 Often a casual and local establishment with decor ranging from traditional Japanese to modern quirky with sports or pop culture memorabilia. "After work I like to have a nice cold mug of beer with some yakitori at my my neighborhood izakaya."